Want to know how to lift a wallet from the inside pocket of a fellow passenger on the tube? Then this is the book for you. But The Thief is much more than an instruction manual. It’s the gripping story of how Nishimura, a male pickpocket with no apparent family or friends, gets entrapped when he becomes emotionally involved with a young boy and his mother. This is in stark contrast to the fate of the similarly solitary Michel, the male protagonist in Robert Bresson’s 1960s film Pickpocket. At the end of Bresson’s film, Michel is trapped by the police and imprisoned, only to be redeemed by the love of a woman whose attentions he has hitherto neglected. Nishimura’s fate is much grimmer. The similarities between scenes in the novel and those in the film are surely not fortuitous. But there are great differences. Bresson prefaces his film with a strict opening disclaimer that his film is not a thriller; the last sixty pages of the novel would do credit to any thriller writer. 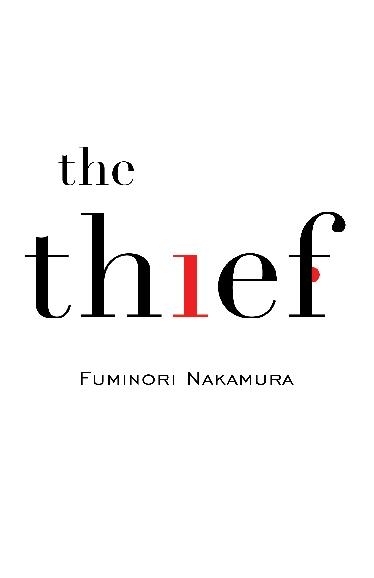 Nakamura’s first person narrator, Nishimura, a name he takes pains to conceal from his associates and readers, lives in Tokyo in a seedy one-room flat. His only real contact with other human beings is through his hands roving through men’s outer clothing to remove their wallets. He is careless with the money he steals. It’s the thrill of the act and the sense of triumph afterwards which matters most to him. Nishimura says he can’t be bothered to sell the credit cards he finds in victims’ wallets: a sign of his indifference to money and his desire to avoid involvement with other people. One evening, Nishimura sees a woman and her son shoplifting in a supermarket. Noticing that they have been spotted by a store detective, he warns her. Outside the woman is anything but grateful, but offers herself for ten thousand yen before riding off on her bike with her son. Nishimura sees in the boy something of his younger self. After observing the boy shoplifting Nishimura prevents him being caught and gives him money to buy the groceries his mother has ordered him to steal. The boy becomes obsessed with Nishimura and starts following him around. Nishimura takes pity on him and eventually pays his mother, who has little time for her son, to put him in a children’s home to protect him from her abusive boyfriend. The translation reads well. However I was disturbed by the word ‘homeless’ being applied to characters by the narrator solely on the basis of their appearance. Do all Japanese homeless people look the same or is the word for homeless in Japanese applicable to everybody who looks poor? It would also have been nice to know, maybe through a footnote, how much a yen is worth in sterling to get a sense of the value of the money Nishimura steals and sometimes gives away. For those of you who read reviews to find out stuff you don’t already know, there are, at the time of writing, 122.4 yen to one pound sterling. 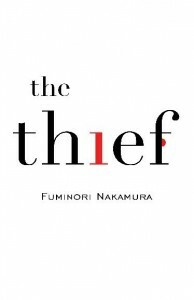 The Thief is a very readable novel which convincingly depicts the psychology of a Japanese pickpocket whose thinking and actions are universally comprehensible.